As Labor Day weekend comes to a close and brings summer to its unofficial end, what better time to look at where the trucking labor market is at and what lies ahead. For years, headlines have been warning us about the truck driver shortage heading towards a future crisis. But lately, many have been arguing otherwise. So what gives? Well according to recent US labor reports, freight volumes actually slowed down in the second quarter of 2016, which caused some trucking companies to shed jobs resulting in a lower turnover all around. In fact, the driver turnover rate at large carriers dropped 6 points to 83 percent in the second quarter, which is a 19 percentage drop from the fourth quarter of 2015, when the turnover rate was at 102 percent. At smaller truckload carriers, the turnover rate fell nine percentage points to 79 percent, and was down 10 points from the fourth quarter. While job turnover increased by four points to 12 percent at less-than-truckload carriers, the rate is still very low in comparison to the rest of the industry. But although the general industry turnover rate is currently on the decline, you must still consider that these numbers reflect the percentage of how many truck drivers carrier companies must replace annually to maintain a constant pool of drivers. Even at 83 percent, it still means a trucking company is replacing more than three quarters of their entire driver pool in a year. ATA Chief Economist Bob Costello explains that the continued decline in the turnover rate reflects the continued choppiness in the freight economy. 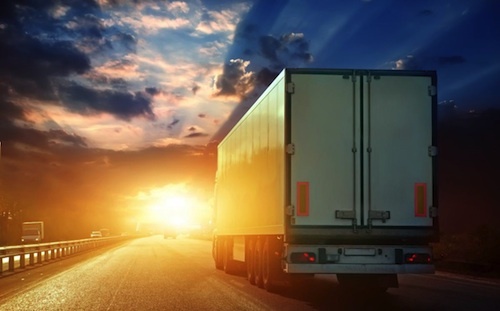 “As we hopefully approach the end of this period of elevated inventories later this year, freight demand will pick back up leading to increased demand for drivers and higher turnover rates in the future,” he says. It is also important to consider that while the amount of available trucking jobs may fluctuate from each quarter, there is still an ongoing shortage which is also related to the fact that companies are having more difficulty finding qualified drivers to fill the available jobs - especially as driver qualifications are increasingly impacted by regulations and insurance concerns. Technology is another major factor to consider in what lies ahead for the trucking industry as a whole. While much of the hoopla has focused on the future of self-driving vehicles, drones and the Uberization of the industry ultimately resulting in fewer jobs, others see trucking technology evolving in ways that still make truck drivers a very important part of the bottom line - how a business delivers freight. Drivers with computer skills and mobile apps with direct access to inventory visibility and order management may ultimately give truck drivers a stronger position and a more competitive advantage in the delivery supply chain. In fact, many foresee technology creating a new generation of hybrid engineer/truck drivers that could ultimately result it being a higher paying and more desirable profession.